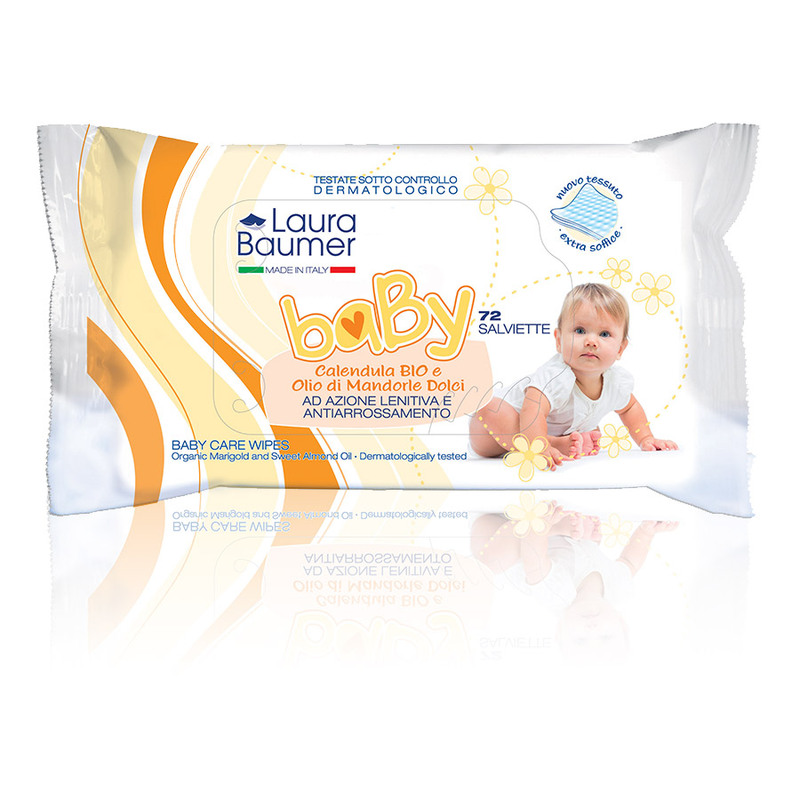 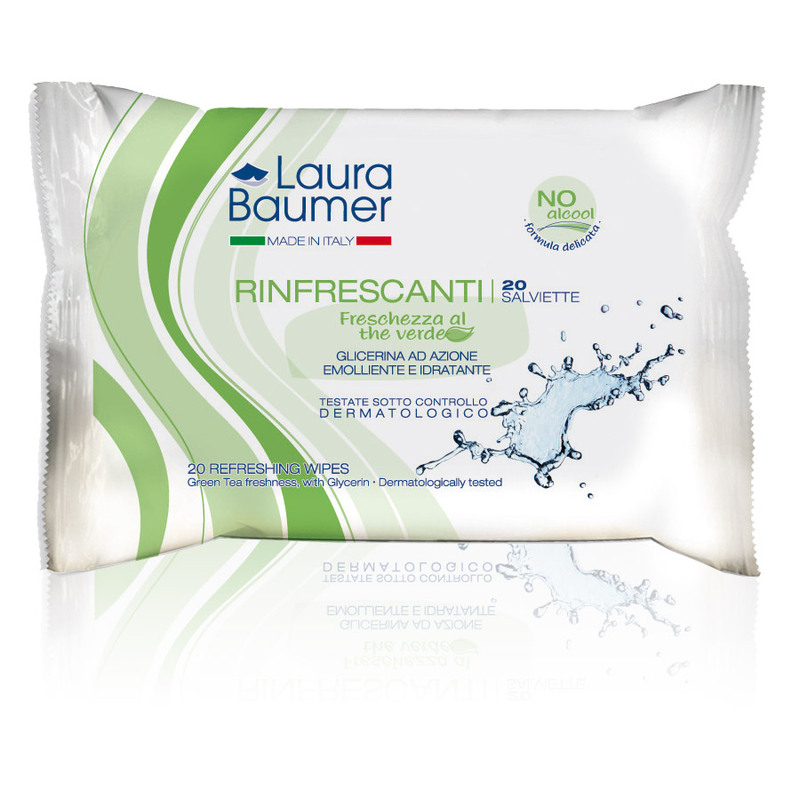 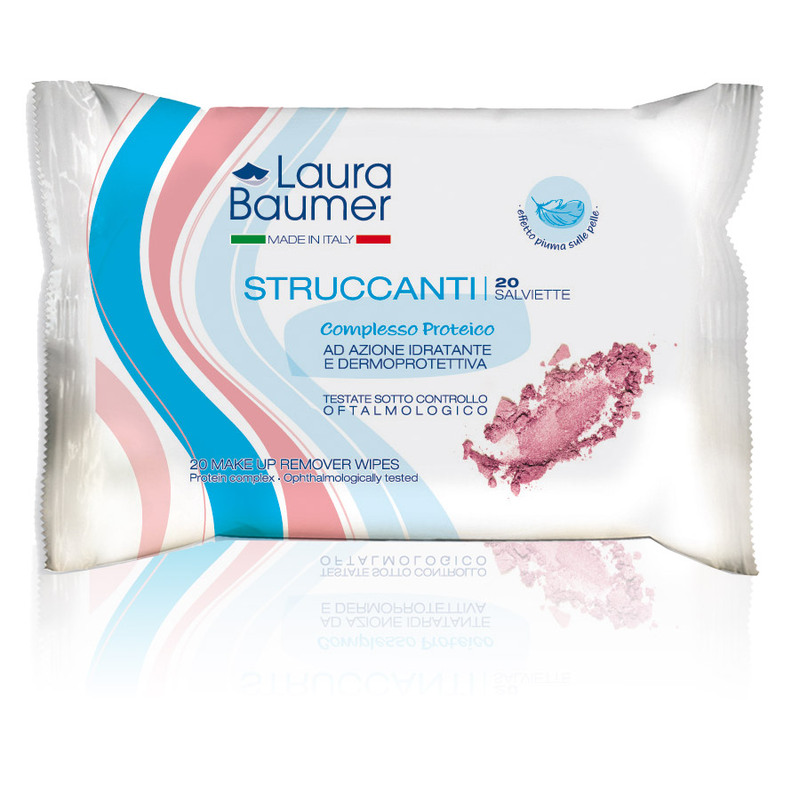 The Laura Baumer baby hygiene wipes are made of a new extra-soft fabric, resistant and pleasantly scented; they are perfect for changing diapers and for cleaning both face and hands. 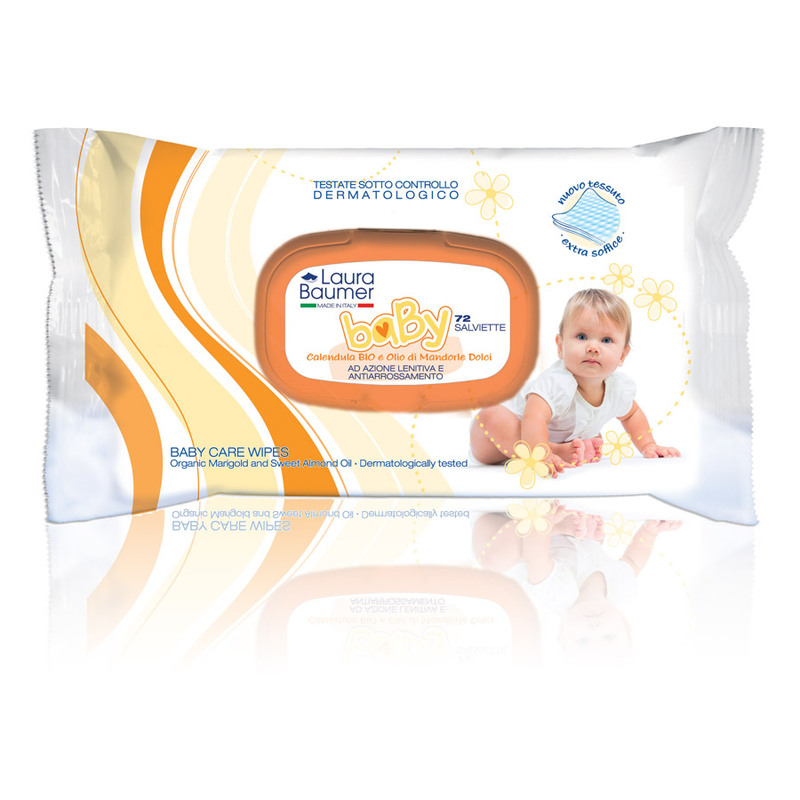 Thanks to the specific formulation tested for sensitive skin, they are also ideal for newborn babies. 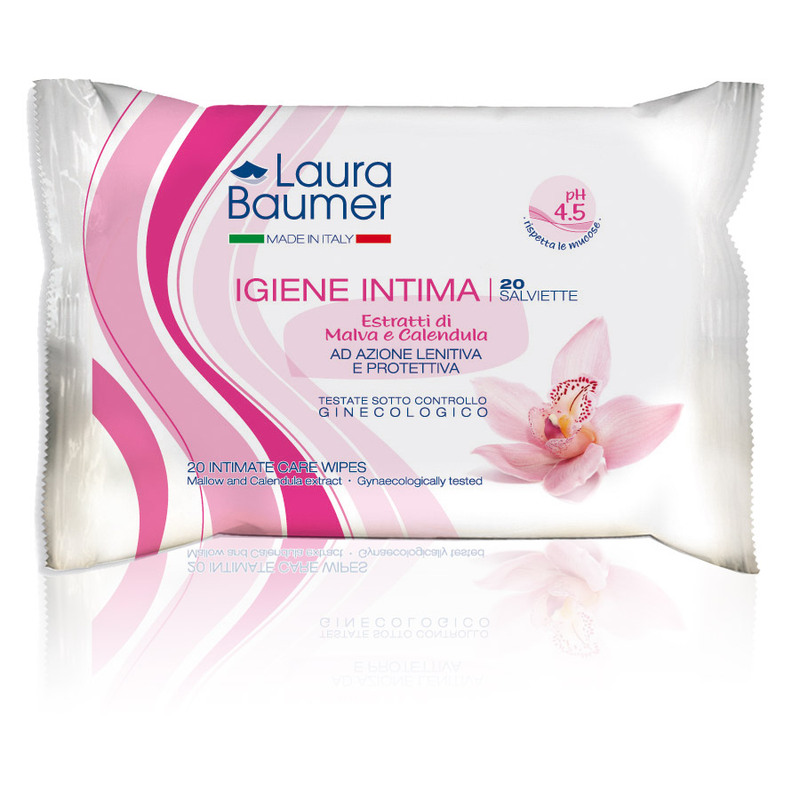 The lotion they are soaked in is based on PURIFIED WATER, ideal for high-level cosmetic preparations, ORGANIC CALENDULA EXTRACTS, with soothing and anti-redness properties and SWEET ALMOND OIL, rich in vitamins and with emollient properties.